Building a super low wind kite is as difficult as building a stunt kite that can fly in 15 mph without much foot movement, wide tricking capability or work. I have gone through the full spectrum of Prism kites like the Ozone and others. These IMO are middle of the road. Sure people who know me know I am going to mention Lam Hoac. I first heard of the Tattoo around 10 years ago. People kept telling me get the Tattoo it works better than any SUL currently out there in terms of flying in the so-called NEAR ZERO spectrum. To this day I have not found or handled one that surpasses other than the Triple S which was custom made for me by Lam and is lighter and has a more fragile LE. As I mentioned earlier on another topic I go Benson IS/Triple S/Tattoo and then a SUL at this point his GPS-SUL. The Tattoo just works 1-2 mph better than his SUL in becoming airborne EVEN IN THE CORNERS. However I understand there is more activity in Europe now with these kite builders like PAW & Krijn but I do find it difficult that they can surpass these TWO low wind kites (Tattoo & Triple S). I do however believe that for Vented Kites there MUST be some easily equivalents or superior models to Lam's Vented models. Just a gut feeling as these guys fly in high winds all the time and have more kite builders experimenting across the pond. Every low wind kite I have purchased from Europe although not many have been sub-standard to these two IMO. I just use the Benson Inner Space indoor when the wind is almost absent (why put a mph number on that). I also figured you may do more inland flying than beach flying. BTW the Tattoo is for a place like Berkeley or a beach type environment and not inland where you experience up and down winds and occasional light gusts even below 5 mph. Not due to its durability but its a floater or simply a 1-3 mpg pure ocean wind kind of kite. The Tattoo currently has had some minor upgrades to its design BTW. Lam is coming out with this INDOOR/OUTDOOR model so I may explore that in 2019. As an example I tried the so-called GHOST from Europe ... your kidding me ... right? Good luck on the WW model. This I have to agree with for all but the inner space I put the nik nak above the inner space for indoor myself BUT on the nik nak it needs bridle tweaks first. For the inlands winds in the 1-3 range it's actualy a toss up for me. I either grab my Eclipse STD (.2200 frame), Fearless light or IL2K (yes this actually does fly very well in 1-2 and quite tricky). Catching up to those now that I have a bit more time on the lines is my Prodancer UL(original not the current SUL). Thanks! I’ll be sure to post videos, but there’s plenty already showing the WW in really light to nonexistent wind doing everything a dual line can do, in the right hands., I did my homework. I keep hearing very good things abou LH Kites, but the graphic solutions he adopts, really don’t attract me. The face like or one color kite just doesn’t work. (also they are the most expensive kites around other than a HUGO?) I have to like the kite look, but I’m curious to try one. benson IS has been around for a looong time, I wanted something a bit more fresh and with a less old school sail cut. I’m also swapping the LS on the SF from3P to GForce Skinnies, I had left from the Oz, and see how that does without the tail weight. But this weekend I’m getting the boards ready. Snow is here folks time to shred. What about a Magnet XL SUL. Big sail, very light, modern trickkite. 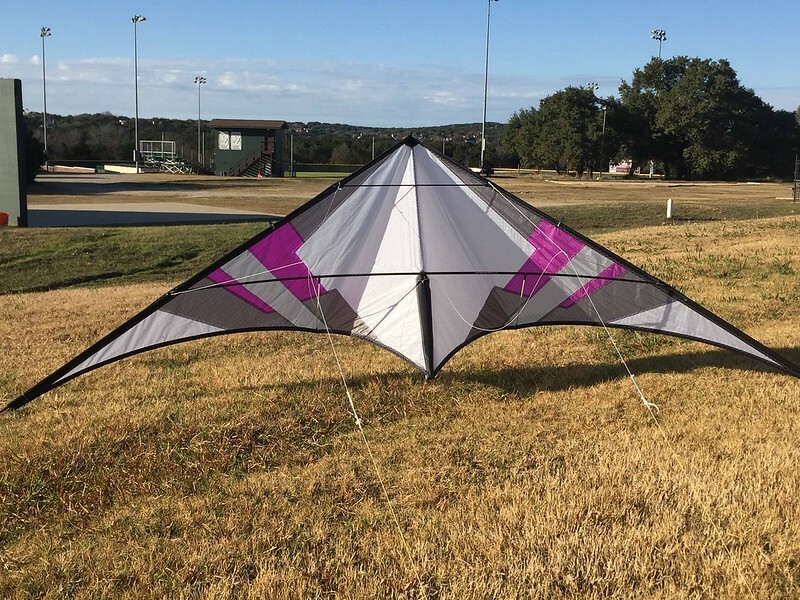 I've been following this thread and I've been interested in a winter project kite. I decided to try to make a Magnet XL SUL. Where's the best place to post questions or person to ask involving this build? As an example I tried the so-called GHOST from Europe ... your kidding me ... right? Cool! It's a very nice kite in low winds. Thank you very much, that's a pretty long thread. So if you have any questions regarding this build... please put them here or on the german forum. Direct Messages work fine but it's better to have them in the threads for future reference by other people. I hadn't realised they were available to anyone living outside the Netherlands. Aaaaahhhh, that would explain it. Okay Kareloh, my first question is regarding the plan and blueprint. What does the redline mean or is used for? The red line isn't used in the build. I assume it was there for initial outline drawing purposes. I would suggest to put further questions in the Magnet building thread mentioned above. Nice. Didn't recognise it right away, but looking around: a 90THREE? The single standoff on each side made me think it might be a smaller kite at first, but not really if that is what it is.